Misclassification of workers as independent contractors rather than employees is a huge problem in our country. Employers do this to save money by not having to pay social security and Medicare taxes, employee benefits, overtime, and unemployment compensation benefits. Unfortunately, some employees do not even discover that their employer considers them an independent contractor until they apply for unemployment benefits and their employer denies the claim, suddenly calling them an independent contractor rather than an employee. One law defines your employment status. Even if you are considered an independent contractor under one law does not mean that you are not an employee under other laws—including workers’ compensation laws. Your classification is up to your employer. You may believe that you are an independent contractor because your employer classifies you as one. However, New Jersey’s workers’ compensation law uses an “ABC” test to determine if you are an independent contractor. Your employer would need to show that you are free from his direction and control, that you provide services to other companies, and that you operate your own independent business. You get a 1099 Form. 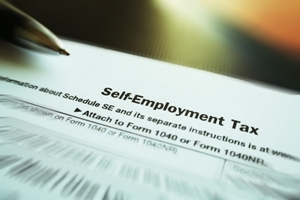 Receiving a 1099 Form from your employer does not make you an independent contractor. It could simply mean that your employer has misclassified you and is preparing the incorrect tax form. Your employment classification does not matter. Misclassifying you as an independent contractor can cost you money and benefits. You could lose workers’ compensation benefits, unemployment benefits, overtime, sick and vacation time, and much more. Do not take a misclassification lightly. You signed an independent contractor agreement. If you signed an independent contractor agreement with your employer, this does not mean that you are not an employee. New Jersey’s “ABC” test will determine your correct status. You are not on the payroll. Your employer may pay you in cash, off the books, or separately from other workers. However, this does not define your status as an employee. You have an Employer Identification Number (EIN). Your employer may have required you to file paperwork to create a business or to obtain an EIN to get the job. As with an independent contractor agreement, your employer’s attempt to create a false paper trail that says you are an independent contractor does not make this true if your duties fall within the test of who is an employee. You are a telecommuter. Your employer may claim that you are an independent contractor because you telecommute or work off-site. However, many employees also work at a location other than the employer’s business or from their homes. This does not define your employment status. Your employer wants this. The fact that your employer wants you to be an independent contractor does not make you one under the law. It is illegal for your employer to misclassify you for any reason. You have been an independent contractor for years. Your relationship with your employer may have started out as a true independent contractor relationship. However, if your job duties and obligations to your employer have changed over the years, your status may have changed to an employee as well. You operate a franchise. If you operate a franchise, you may not be an independent business. You may actually be doing the duties of an employee—such as those of a manager—and meet the requirements of New Jersey’s “ABC” test for being considered an employee—and entitled to workers’ compensation benefits. Industry standards. Even if it is common in your industry for workers to be hired as independent contractors, it does not define your individual employment status. If you really only work for your employer and your employer controls what you do and your hours of work, you may be an employee entitled to the same benefits your employer provides to other workers and the protections employees have under state and federal laws. If your employer is trying to claim that you are an independent contractor not entitled to workers’ compensation benefits, you need the assistance of an experienced workers’ compensation attorney to advise you on your legal status and to help you enforce your rights under New Jersey’s workers’ compensation laws. I have been helping workers like you fight for the benefits they deserved for over 20 years. Review my testimonials and then start an online chat to schedule your free, no-obligation consultation.